Photo by Bryan Stevens An American goldfinch feeds on thistle seeds from a feeder designed to contain these tiny seeds. 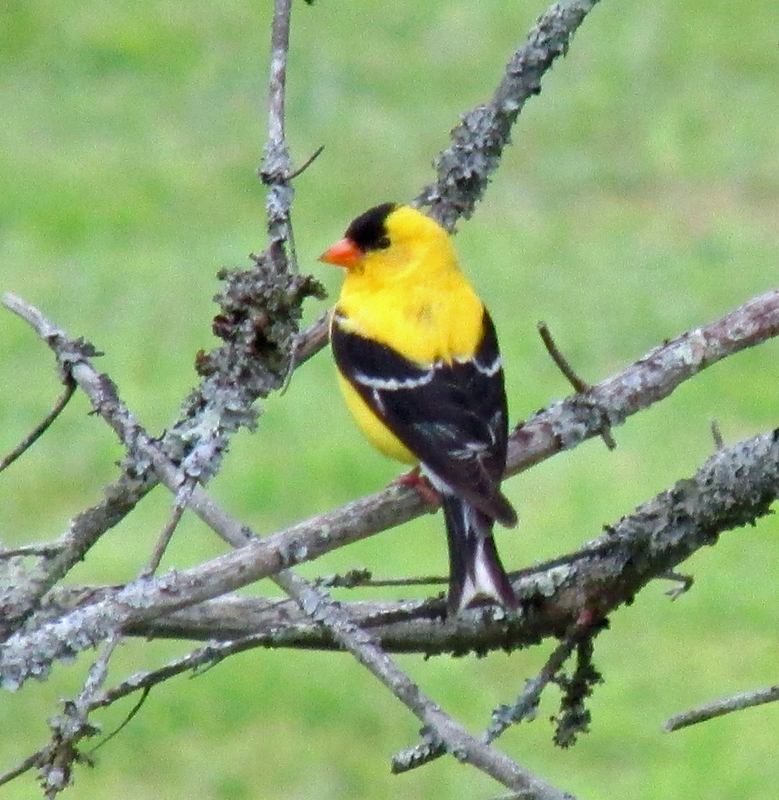 I received a phone call recently from Allan Vance, who had a question about American goldfinches. Allan told me he moved back to Bristol about nine years ago after living for about 30 years in Savannah, Georgia. He now resides in the community of Middlebrook, where he feeds the various birds that flock to his yard. 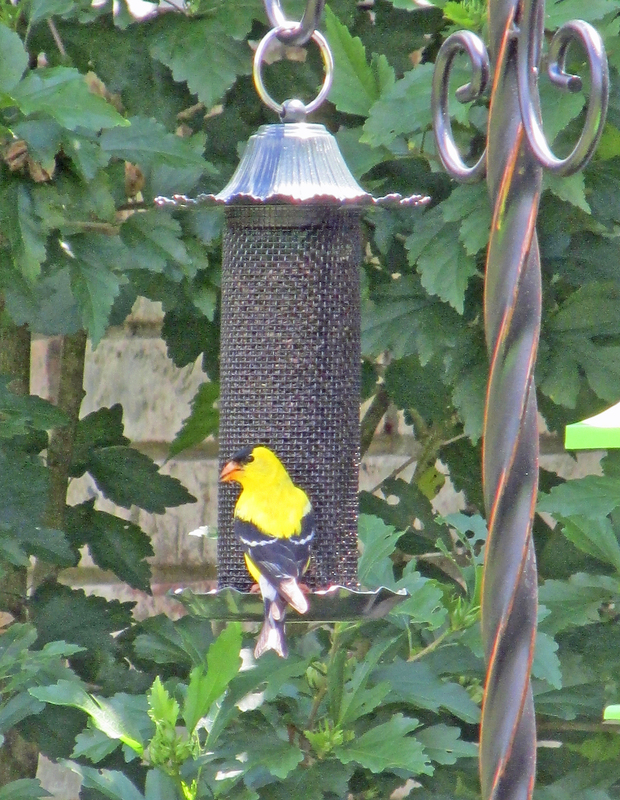 Allan explained that the goldfinches had become conspicuous in their absence from his yard starting a few weeks ago. “I haven’t seen a single one in weeks,” he said. A thistle sock with seeds favored by American goldfinches. 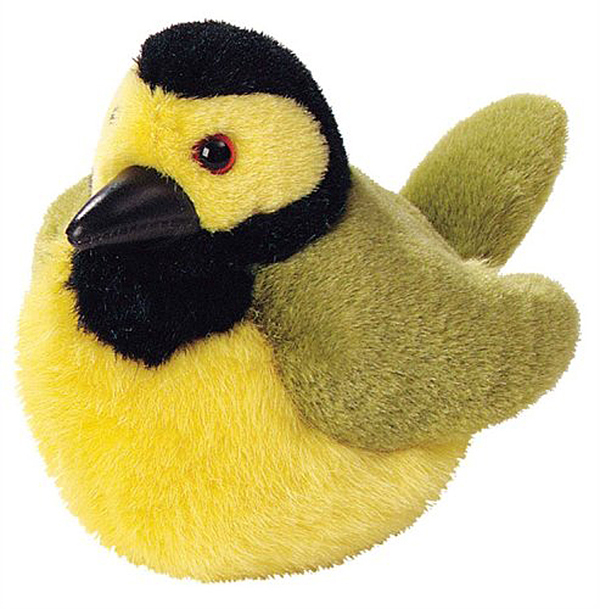 Allan purchases thistle socks for the flock of goldfinches at his home. These “socks” are actually long, mesh bags holding the tiny seeds of the nyjer plant. Although these seeds are also known as thistle seeds, they are not related to the thistle plants that are sometimes classified as noxious weeds. 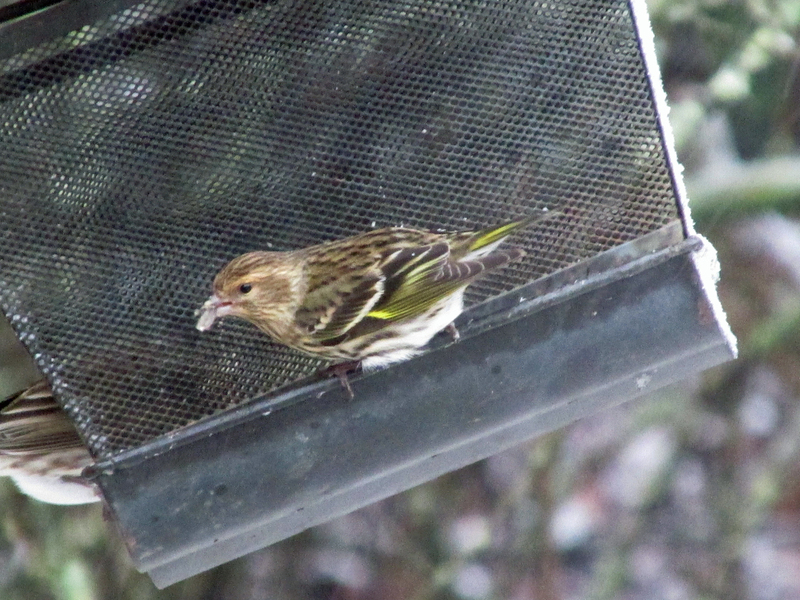 Finches are able to cling to the sides of the mesh socks as they carefully remove the seeds. The tiny seeds are quite securely held within the mesh socks. Special feeders with small ports for dispensing of these tiny seeds are also available. After he purchased his most recent thistle sock, Allan expected the birds to visit it as is their usual custom. After several weeks, only one bird — not a goldfinch — had visited the sock. He wondered if there might be some explanation behind the goldfinches suddenly turning their backs on these favorite seeds. I explained that there were two possible reasons, which are somewhat connected to each other, for the goldfinches suddenly shunning the sock. 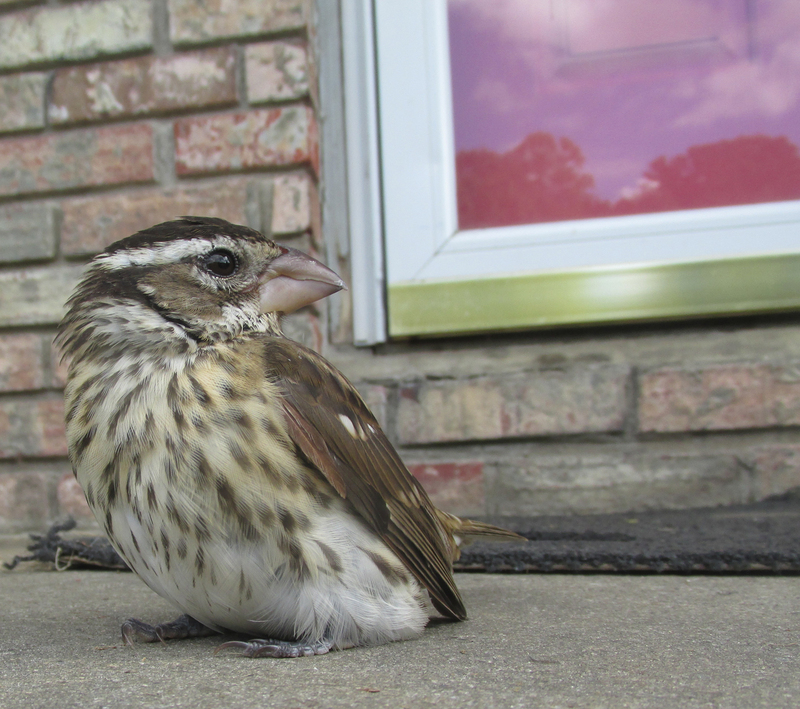 It’s early fall and there’s an abundance of natural food sources available to fold finches. Many roadside, fields and gardens are filled with plants that are already producing a banquet of fresh seeds for finches and other seed-loving birds. It’s possible that, faced with a smorgasbord of other foods, the goldfinches are no longer quite as reliant on the seeds in Allan’s thistle socks. Photo by Bryan Stevens An American goldfinch showing its bright summer plumage. 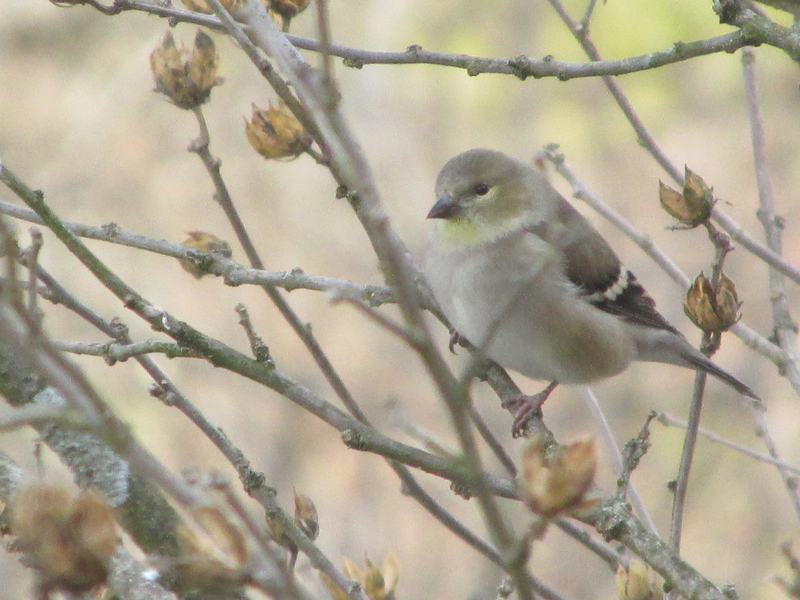 The American goldfinch is also one of the last songbirds to nest each season. Some goldfinches don’t even start to think about nesting until late July and early August. 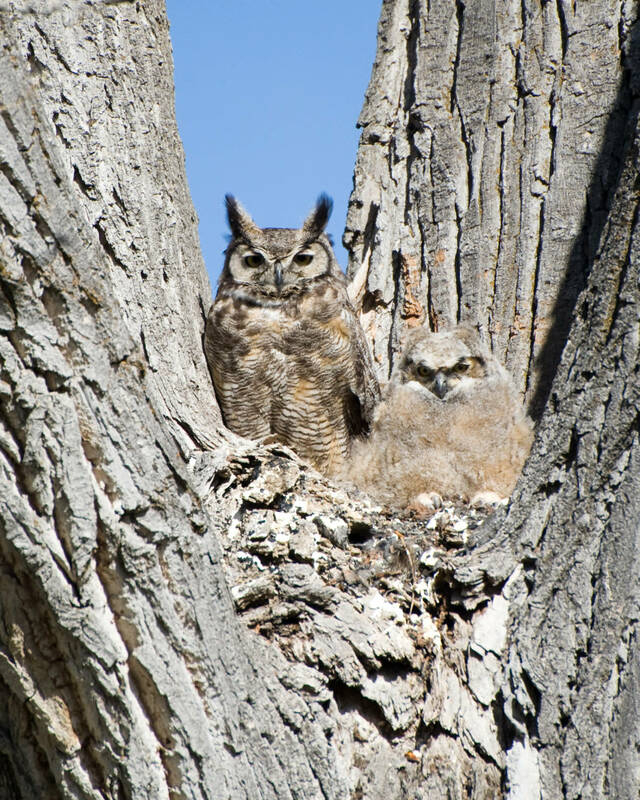 Their nesting season is timed to coincide with a time of natural abundance. Goldfinches feed their young mostly on insects, as opposed to most songbirds that work so hard to gather insects to feed their young a protein-rich diet. It’s a satisfying irony that, although brown-headed cowbird females sometimes slip their eggs into a goldfinch nest, any young hatched in those nests rarely survive. While goldfinch hatchlings are adapted to thrive on a diet of seeds, the fostered young cowbirds fail to thrive on a diet so lacking in insects. In addition to feeding birds, his yard serves as a place for them to nest. He noted that wrens have successfully nested at his home over the years. He said a funny memory from years ago involved a white-tailed deer at a feeder. “I saw this doe raiding my feeder,” he said, adding that the deer used its tongue to lick seeds from the feeder. Photo by Bryan Stevens A fall American goldfinch looks quite different than it does at the height of summer. 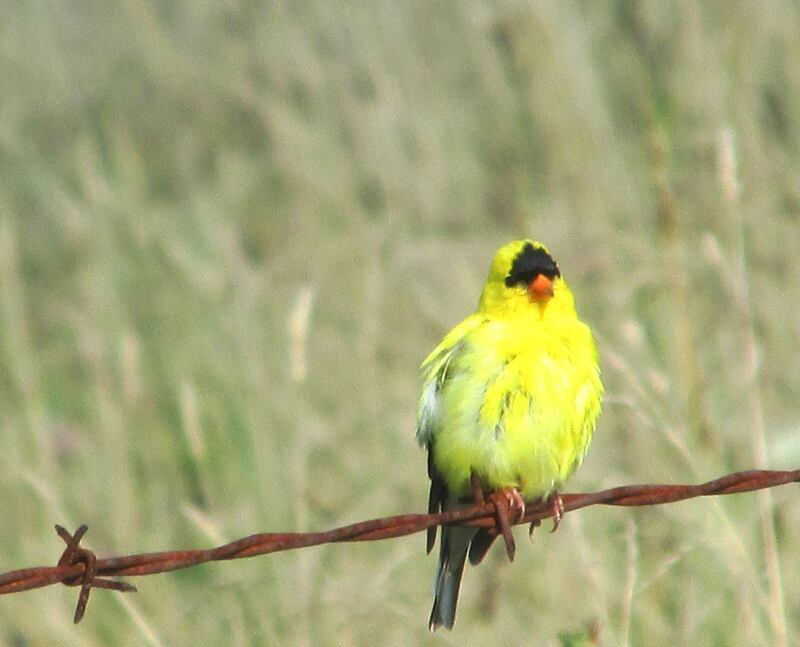 The male American goldfinch during the breeding season is unmistakable in his bright yellow and black plumage. Female goldfinches are more subdued in coloration. 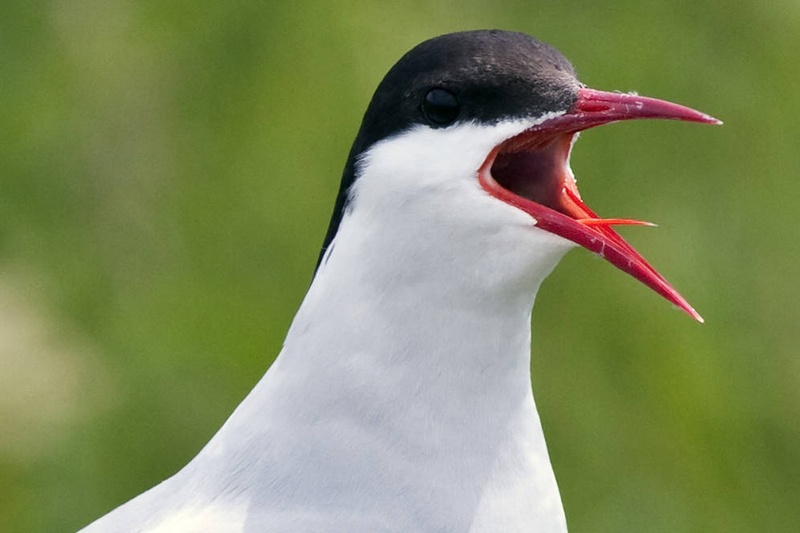 Males also sing a bubbly, cheerful song when seeking to win the attention of a potential mate. 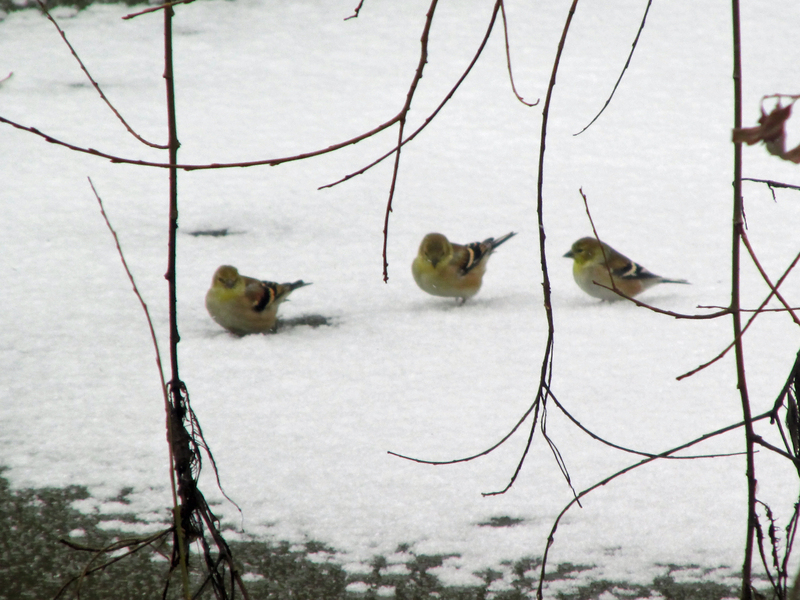 Outside of the nesting season, goldfinches are quite sociable and form large flocks. 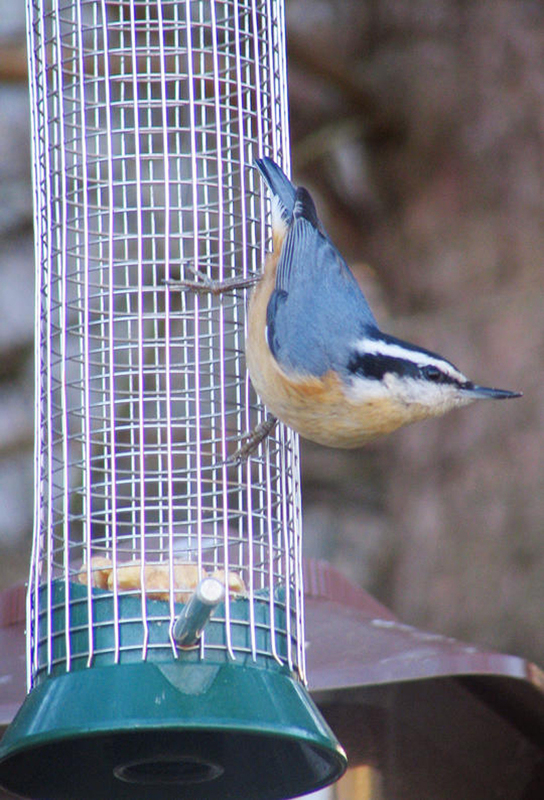 Dozens of these small songbirds can descend on feeders at almost any time of the year, but they are primarily attracted to our feeders during the lean times of the winter months. 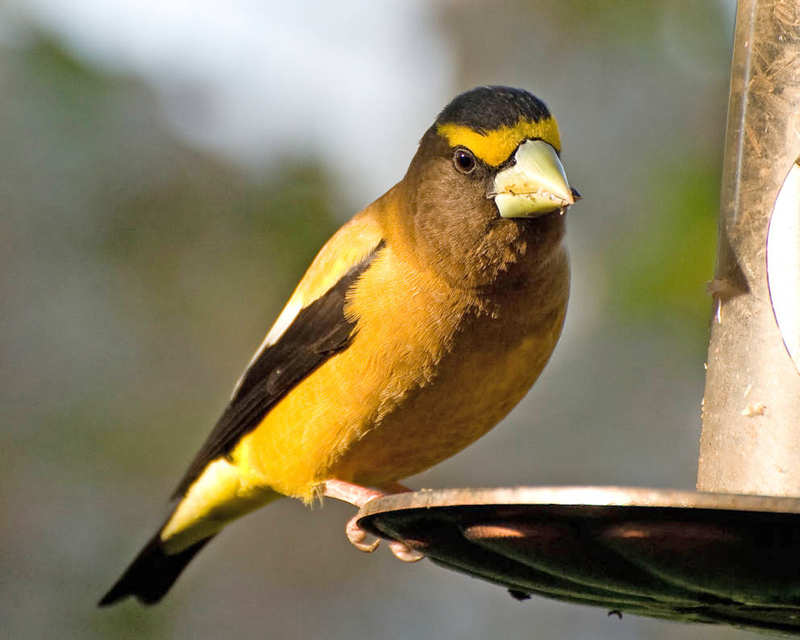 For these and other reasons, goldfinches are favorites of many bird lovers. There are actually three species of goldfinches in North America. The two related species are Lawrence’s goldfinch of California and the lesser goldfinch, which ranges through the southwestern United States as well as Central and South America. Photo by Bryan Stevens A male American Goldfinch perches on a barbed wire fence. The American goldfinch is also known by other common names, including wild canary, yellowbird and willow goldfinch. I’ve also heard the goldfinch referred to as “lettuce bird.” This nickname, which was one my maternal grandmother applied to the bird, relates to the bird’s fondness for seeds. Apparently the goldfinches would flock to lettuce plants in the garden once they had gone to seed. 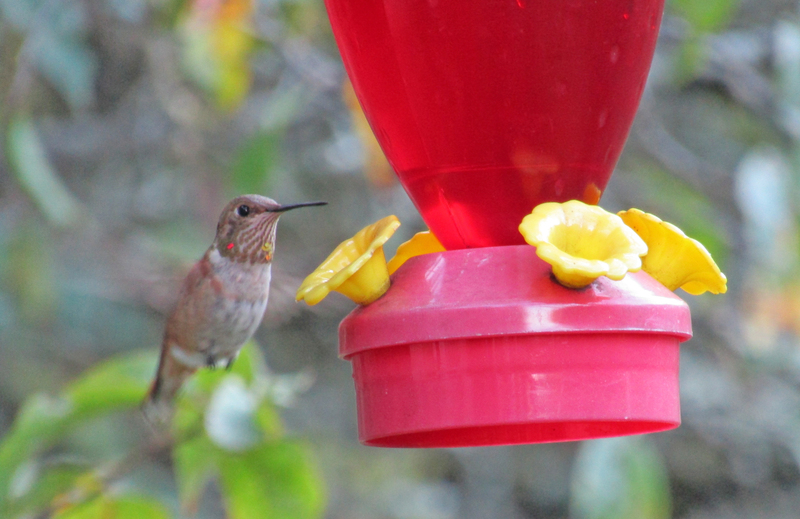 Come winter, this vibrant bird undergoes a transformation into a dull, drab bird with grayish feather. In fact, this annual molt usually begins in September. During the fall and winter, the American goldfinch looks almost like an entirely different bird. It’s understandable why people love to entertain flocks of these finches in their yards and gardens. Three states — Washington, Iowa and New Jersey — have made the American goldfinch their official state bird. Photo by Bryan Stevens Winter goldfinches are not the birds of splendid appearance that they wear during the summer months. This entry was posted in American goldfinch, Birding, Birds, Common Birds of Northeast Tennessee, Fall migration, Uncategorized, Winter birds and tagged American goldfinch, Birding, birds, Bristol Herald Courier, Bryan Stevens, Carter County Compass, Elizabethton Star, Erwin Record, Fall migrants, Feathered Friends, McDowell News, Northeast Tennessee, Our Fine Feathered Friends, Songbirds, The Erwin Record on October 9, 2016 by Bryan Stevens. Photo by Bryan Stevens Hooded Warblers, like this male, prefer to remain in the shadows of shrubs and thickets. I watched a male hooded warbler flitting among the branches of a forsythia shrub during a soft rainfall on Sept. 18. 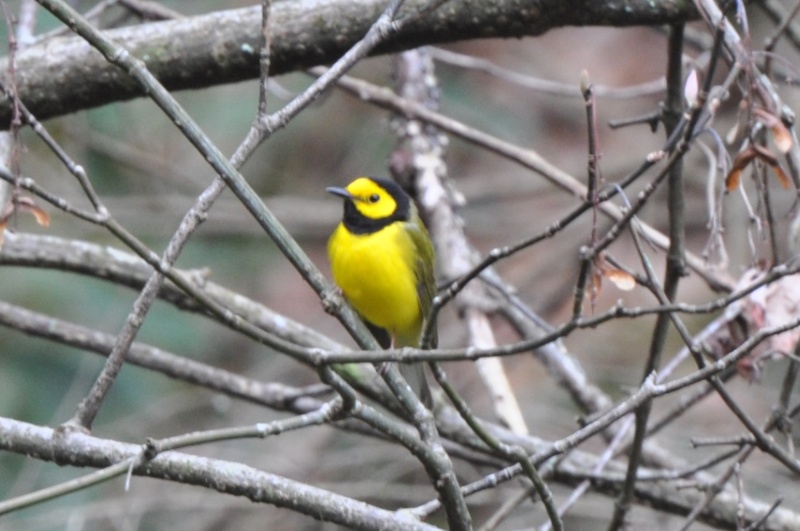 As I watched the small bird dash after unseen insects among the thicket formed by the forsythia branches, I marveled at the bird’s exquisite appearance. The gold and green feathers seemed to glow brightly in the dim light as a drizzle of rain wet both bird and leaves. 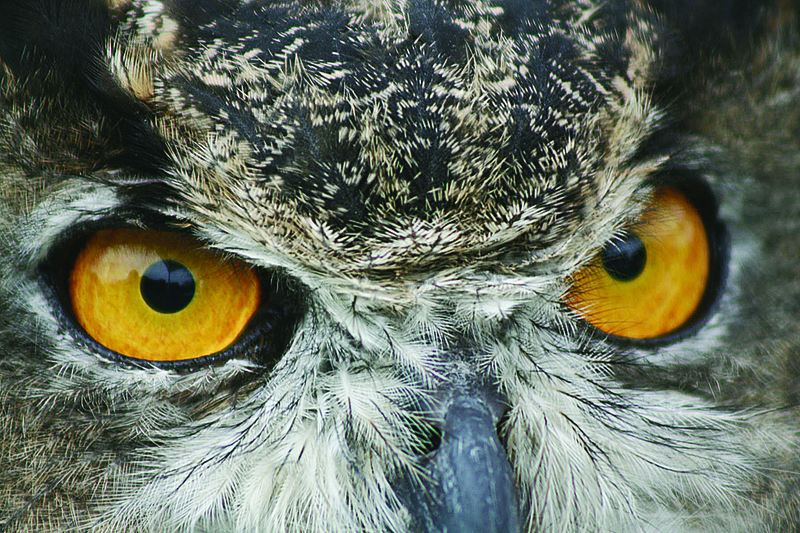 The black hood and bib surrounding the male’s yellow face stood out by virtue of its stark contrast from the brighter feathers. 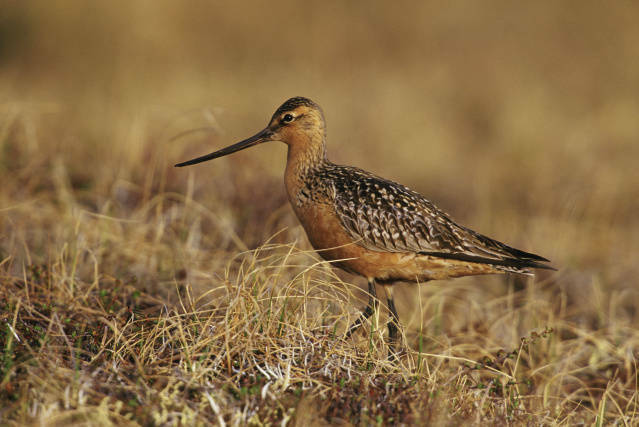 The appearance of the male bird provides this species with its common name. 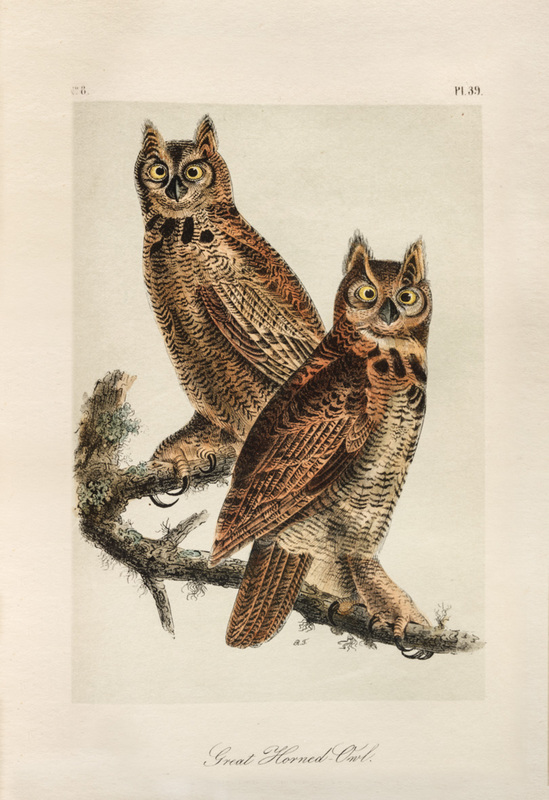 The female has an identical yellow-green coloration as the male, although she is slightly more drab. 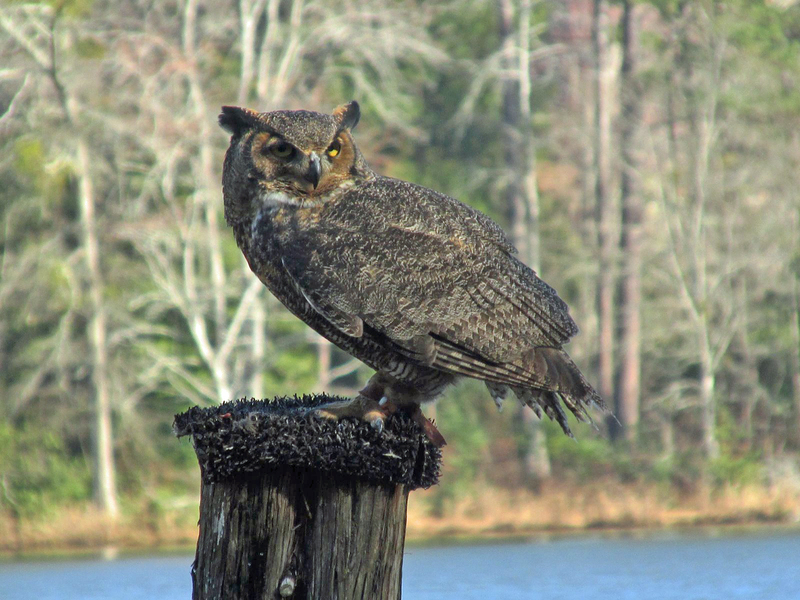 She lacks the black hood and bib, although older females may acquire some dark plumage on the head and around the face. 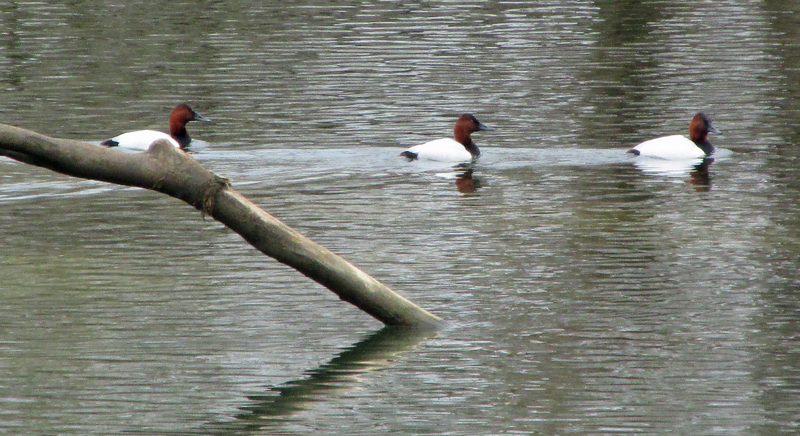 Both sexes also show white tail feathers that they constantly flick as the move about in thick vegetation and shrubbery. I know that every migrant passing through my yard is making its way south and it may be another five to six months before I again see any of my favorite songbirds. The hooded warbler will make itself at home in the forests of Mexico, as well as Belize, Costa Rica and other Central American nations. Most hooded warblers begin returning to their winter haunts as early as mid-September, but lingering individuals continue to entertain birders in the United States throughout October. Photo by Jean Potter A male Hooded Warbler perches in a rhododendron thicket. Like many of the ruby-throated hummingbirds that make their home in the United States for the summer, the hooded warbler’s fall migration takes it across the vast open waters of the Gulf of Mexico, crossing to the Yucatan and then dispersing from there to various points in Central America. 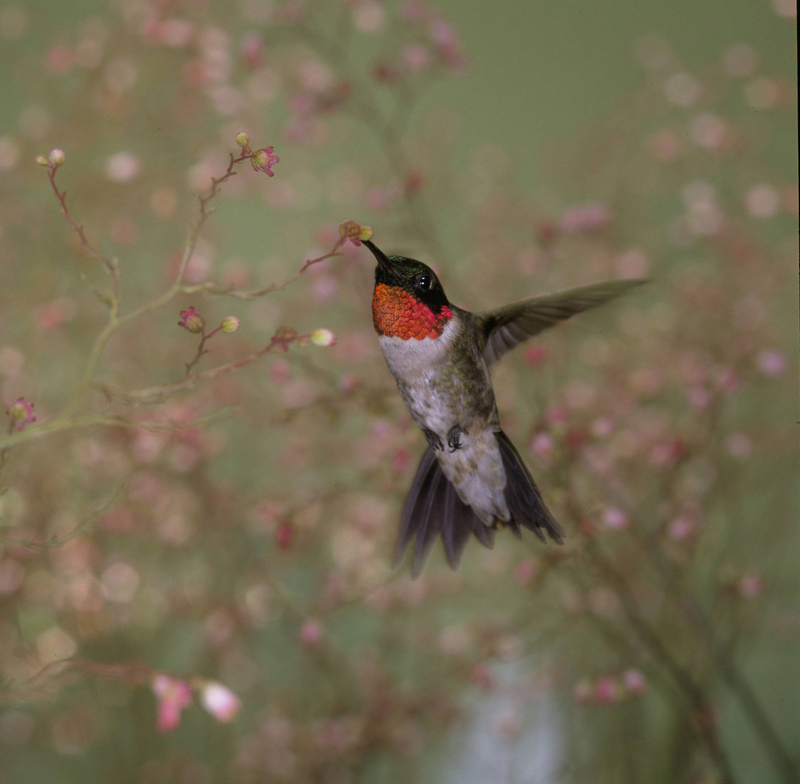 That birds as small as hummingbirds and warblers make this incredible migration twice yearly is one of nature’s most phenomenal feats of endurance. The warblers, also known as wood-warblers, are an exclusively New World family of birds, numbering approximately 116 species. About 50 of these species of warblers make their home in the eastern United States and Canada for the spring and summer, departing in the fall and returning to tropical wintering grounds. Some of them are extremely bright and colorful birds. As I’ve indicated in recent columns, however, some members of the family show more subdued plumages of tan, beige and brown. 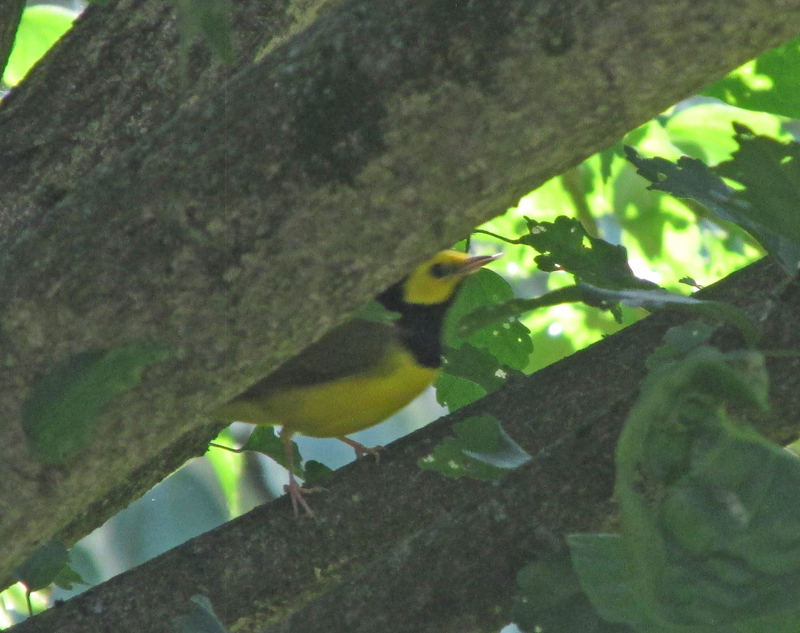 The hooded warbler would have to be included among the more brightly colored warblers. Other colorful warblers that share similar tastes in range and habitat with the hooded warbler include the American redstart, black-throated blue warbler and black-throated green warbler. None of the eastern warblers show any true red in their plumage, but red and pink warblers can be found south of the border. The pink-headed warbler, red warbler and red-faced warbler all make their home in Mexico and and Central America. Photo by Bryan Stevens A male Hooded Warbler perches in a thicket during a fall migration stopover. While some of the neotropical migrants that venture into North America boast even brighter kin in the tropics, we need not feel cheated with the warblers that make their home in the United States for half of the year. Some of their relatives are beautiful birds, including the white-faced whitestart, golden-bellied warbler, three-striped warbler and rose-breasted chat, but few can really hold a candle to their relatives that venture north and brighten the lives of the lucky humans fortunate enough to observe them during the summer nesting season or the seasonal migration journeys. Photo by Bryan Stevens The male Hooded Warbler isn’t likely to be mistaken for any other warbler. The hooded warbler has long been my favorite member of this family of interesting, energetic and engaging songbirds. Hooded warblers reside in the woodlands around my home, nesting and rearing young each year. I’ve never found a nest, but many years ago I watched a pair of hooded warblers fend off a song sparrow that ventured too close to one of their fledglings. Of course, the sparrow posed no realistic threat to the young warbler, but that didn’t make the conflict with the hooded warblers any less intense. The poor sparrow looked completely befuddled and uncertain about its offense. After the warblers drove the sparrow from the vicinity, I watched both parents deliver some food to the young bird. 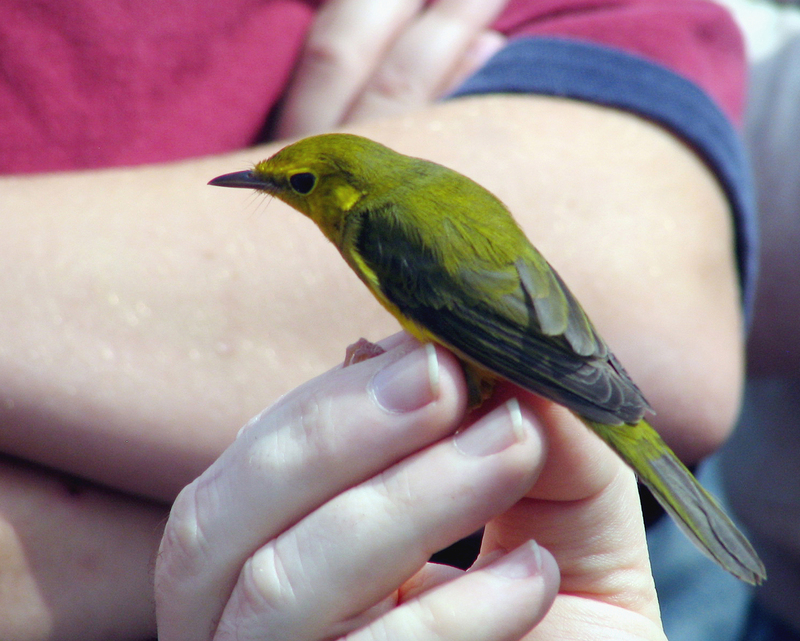 Like most warblers, the hooded warbler feeds almost exclusively on small insects and arachnids. Some warblers will also feed on fruit, seeds and even nectar. 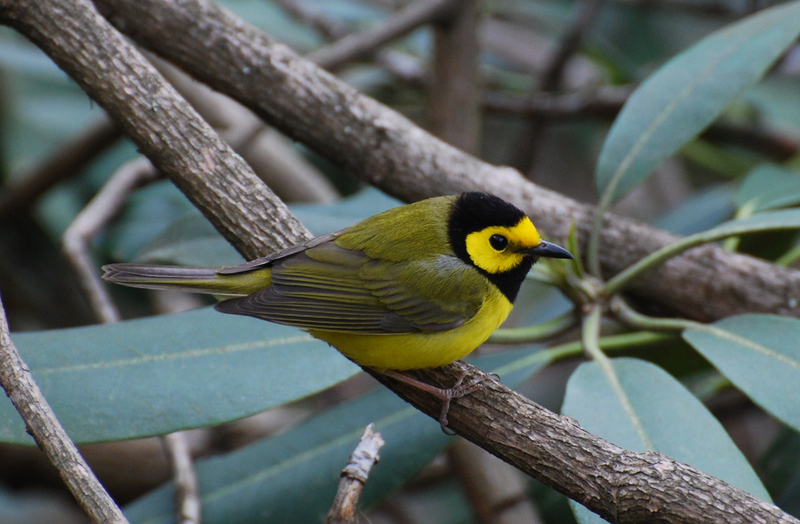 The hooded warbler favors habitats featuring woodlands with an understory of smaller trees and shrubs, such as stands of willows or rhododendron thickets. 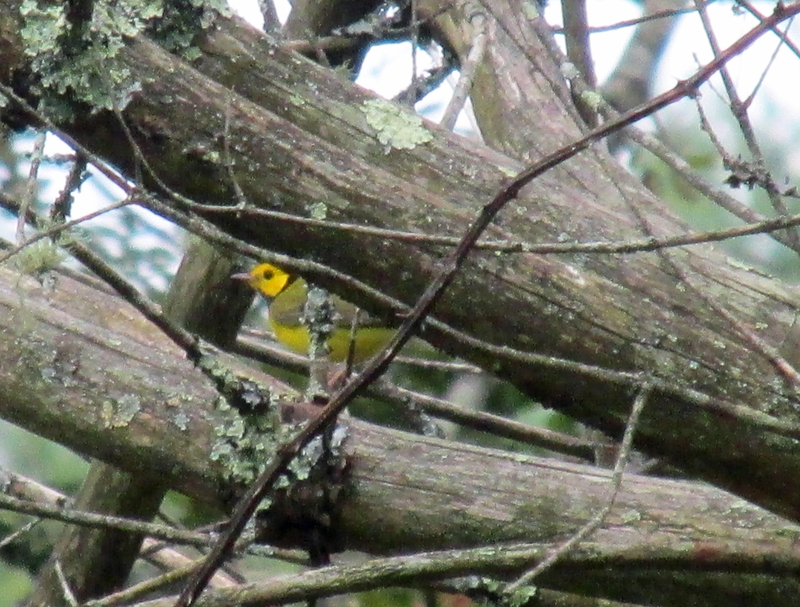 Of course, a tangle of forsythia is enough to attract a visit from a migrating hooded warbler. The warblers have become such popular songbirds that they warrant field guides devoted exclusively to their ranks. 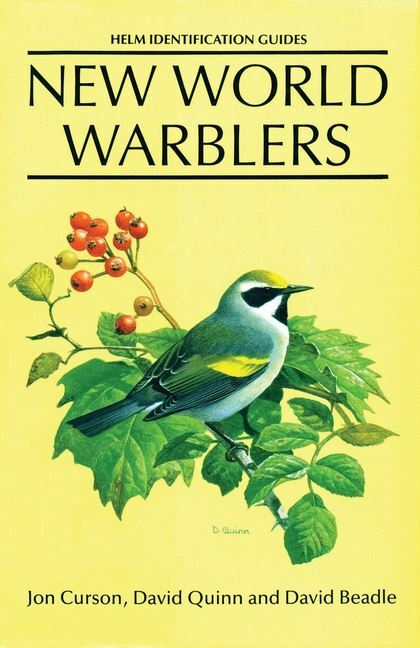 My long-time favorite guide is Warblers of the Americas by Jon Curson, David Quinn and David Beadle published in 1994. 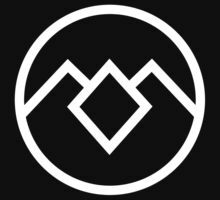 More recently, other guides have been published, including A Field Guide to Warblers of North America, a book in the Peterson Field Guide series, and the Stokes Field Guide to Warblers. If you want a book to enlighten you about the magic of this family of birds, consider Chasing Warblers, a book by Bob and Vera Thornton about an adventure to find and photograph all 52 species of warblers that nest in the United States. 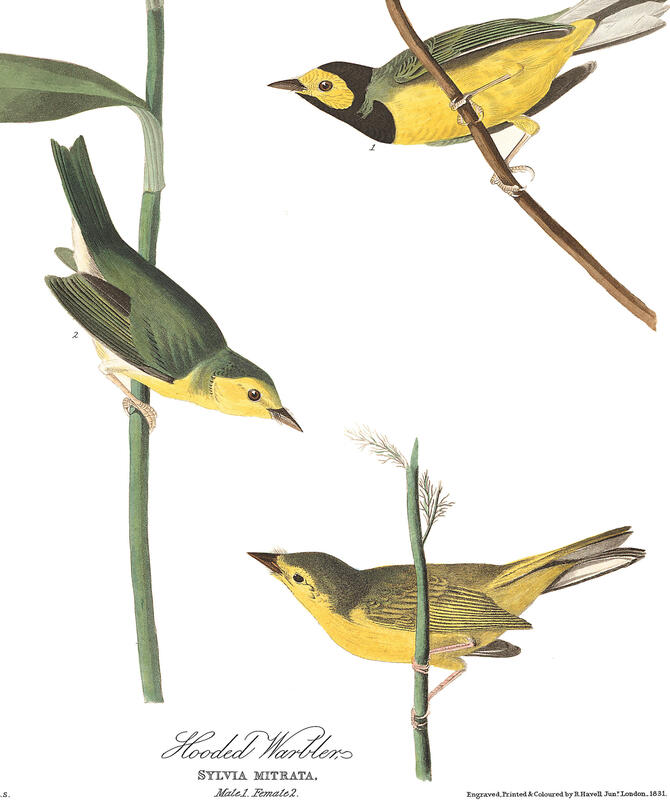 John James Audubon painted this image of Hooded Warblers about two centuries ago. The warblers are, in short, an incredible family of birds. I’ve seen all but a handful of the species that reside for part of the year in the eastern United States. I still want to see a Connecticut warbler and cerulean warbler, as well as the endangered Kirtland’s warbler of Michigan and the golden-cheeked warbler of Texas. I’ll miss the warblers once fall migration has run its course. For those few months they are here, the warblers belong to us. They seem like “our” birds. They’re only on loan, though. Our winter birds bring their own favorites back to our yards, but I’ll be impatiently awaiting that flash of gold in the shadows of a rhododendron thicket next April. Photo by Bryan Stevens A female Hooded Warbler poses for her picture after being banded at Carver’s Gap on Roan Mountain. This entry was posted in Birding, Birds, Elizabethton Star, Fall migration, Hooded Warbler, Tennessee, Uncategorized, Warblers and tagged Birding, birds, Bristol Herald Courier, Bryan Stevens, Carter County Compass, Elizabethton Star, Erwin Record, Feathered Friends, Hooded Warbler, McDowell News, Our Fine Feathered Friends, The Erwin Record, Wallace Coffey, warblers on October 2, 2016 by Bryan Stevens.